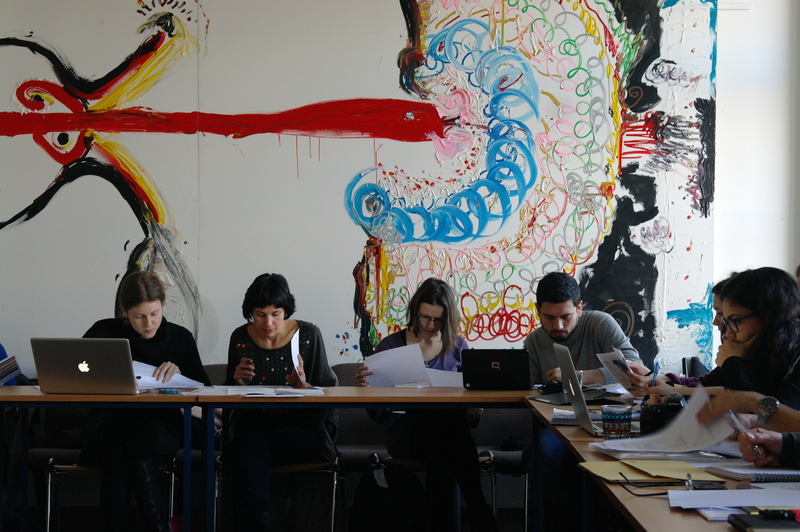 Hosted by FAMU, introduced to us by Pavel Jech, the Dean of Faculty, as the ‘oldest democratic film school in the world’, this is the second seminar preparing our Framework for European Film Education, in Prague, Czech Republic. FAMU is housed in the National Theatre, one of the central buildings in the Velvet Revolution of 1989, and a living reminder of the power of arts and culture to embody political and social change. The atmosphere, fabric, intellectual weight, and heritage of FAMU reminds me of Rajko Grlic’s ‘Interactive Film School‘ – a beautifully realised immersive film school programme released on CD-ROM nearly 20 years ago. Even down to the slightly grumpy looking security guard. Professor Grlic graduated from.. FAMU. Conversations in the lift, corridors, outside spaces confirm Pavel’s claim that this is an international film school, welcoming emerging film-makers from all over Europe and the world beyond. 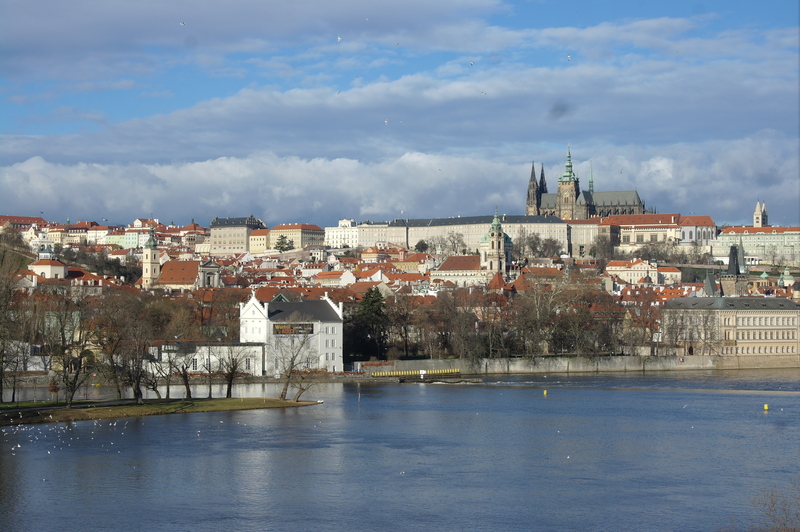 We were in a large classroom overlooking the Vltava, the Charles Bridge, and the castle. Right in the heart of European film education, and an appropriate place to debate, discuss, argue over principles and priorities in educating people of all ages in this ‘richest and most complex artform’. The seminar is organised alongside the Czech Film Archive’s national conference on film education, and Pavel Bednarik has set up screenings of Jiri Menzel’s remastered Closely Observed Trains, and a compilation of animated shorts; tomorrow evening he takes us around the National Film Archive.